So Many Demons: Hauler Death Race II - The REDEADENING! 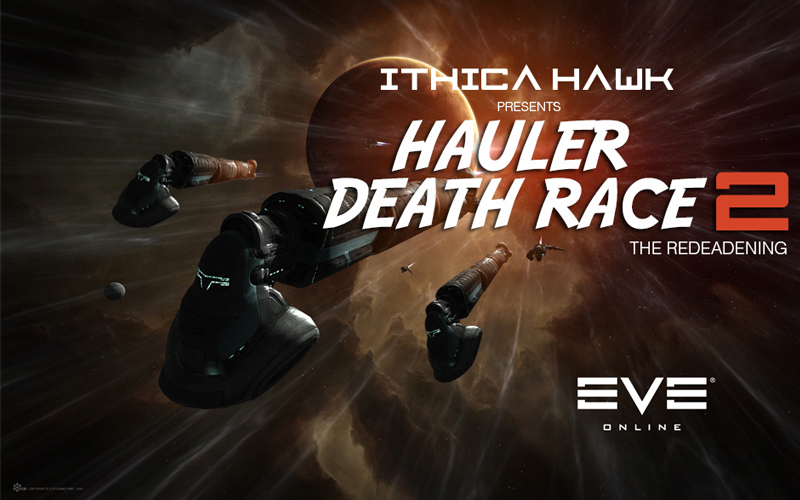 Coming soon (Sunday October 12th 2000EVE) to a system near you (TBA) is the return of the most exciting sport in New Eden, the T1 Hauler Death Race. The first iteration was hailed by the pundits as "better than football" and "so good I'd suicide my nyx to take part". The T1 Hauler Death Race is simple. So simple even you can do it. All you need to do is turn up in the step off system with a T1 hauler before the start of the race. You can fit the hauler however you like (with a few restrictions) so if you want to eliminate the competition that's fine, and practically encouraged. When the proverbial whistle is blown everyone will be fleet warped near to a can in space. Inside this can will be an exotic dancer and a mystery illegal substance (one of each for every contestant). You simply take your load and set off to the destination station (given during the fleet warp). To win, simply trade the exotic dancer and illicit substance back to the organiser. There will be no designated route. It may be possible to go through lowsec, highsec and nullsec but the final station will be in lowsec. If you get blown up en-route theres nothing stopping you buying another hauler and going back to the start, or possibly even a checkpoint TBC, (except that you'll probably have lost by that point). I'll probably think up some sort of twist but that will be announced closer to the time. Can anyone claim the crown of current World Champion TFS Tibbs? BSTRD, MEAT and anyone else who wants to play is welcome so tell your internet spaceship friends, blog it, tweet it, vine it, whatever people do these days. The more the merrier.